Oh Yes. I’m excited about this one. I did my time in Oak Hill and would frequent Boomerz on the regular. One time the life-size Jenga fell on my head. 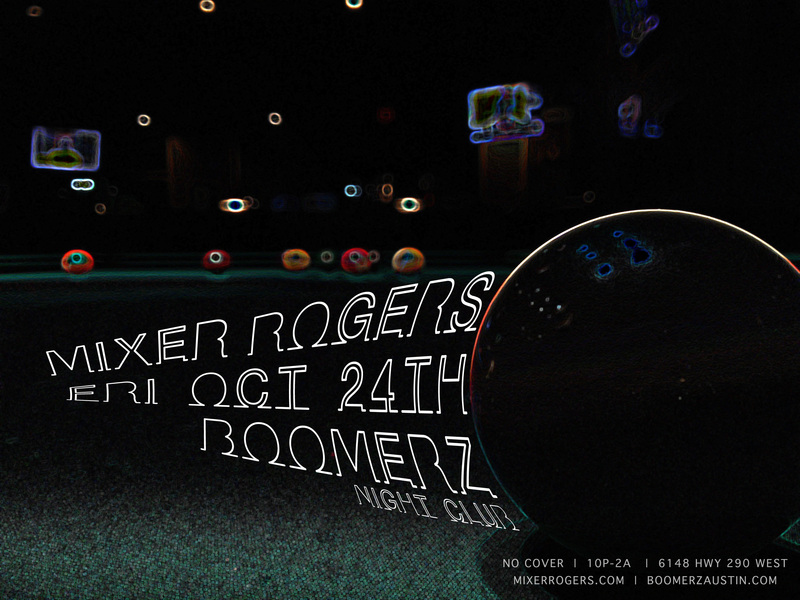 This time…I’ll be playing your jams all night, while you and your best gals/buddies play pool. I’ll start about 10. We’ll pace ourselves. And come 12..12:30…we dance? Until 2am. See you there. This entry was posted in Shows and tagged Austin, billiards, boomerz, dance, DJ, Mixer Rogers, Music, night club, oak hill, Party, Pool. Bookmark the permalink.